This article describes the installation of a hardware and software system for bathymetric surveys in the maritime part of the Congo River. The ‘Regie des Voies Maritimes’ (RVM) is a Congolese public administration in charge of an operational navigation river lane in the Congo maritime reach. The Congo River has the second lar­gest flow in the world and is 4,700km long. RVM maintains the conditions for commercial navigation in the so-called ‘maritime area’, from the mouth to Matadi harbour, over a distance of 150km. The estuary is the only maritime border of the Democratic Republic of the Congo (DRC), with a 40km coastline. Access is vital for the national economy as it is the single border that does not depend on a neighbouring country. - a middle, diverging part (from Malela to Boma, 60km upstream), locally with shallow waters (4–5m), and constantly moving sand banks and various islands. - a deeply embanked area (60km upstream) with an important slope, strong currents and deep waters from Boma to Matadi, the main harbour of DRC. The water level of the river varies according to season (dry and wet) and tide offset also varies (80cm in Banana, 10cm in Boma and null offset toward Matadi). In 1985, the ‘Bordeaux Harbour Authority’ (PAB) installed a positioning system based on Syledis Ultrahigh Frequency (UHF) radio beacons. This system was used to compute the position of the main vessels of the RVM from the distances between rover and static stations (formerly named Lines of Position). It consists of four ground stations: the main one in Muba (close to Boma; altitude 265m), Seke Dia Mbungu (30m), Kaitshanga (86m) and Kisongo (close to Banana and Muanda; 125m). A limnographic network of stations uses traditional recording devices and ‘tide’ gauge levelling from locally installed benchmarks of the Institut Géographique Congolais (IGC). Benchmarks are fixed elevation markers against which the zero setting of the gauge relates the survey to local chart datum (hydrographic zero at Banana station, lowest water level observation in 1915). On board the survey vessels, DALI (a basic MS-DOS program) was used to acquire the rectangular x-y coordinates from Syledis and water depth from a Krupp Atlas DESO 20. Once data were in the post-processing office, the x-y-z data were checked and water levels were corrected using the additional TALI software to print out a paper chart on an A0 plotter with isobaths, depth values and position of different marks. The final goal of the RVM was to use the results of bathymetry surveys to run their dredging vessels through the ‘shallow’ areas to maintain navigation in the river. Because of the age of their system (about 20 years), the lack of spare parts and the need to improve efficiency, the RVM requested assistance from the World Bank in order to acquire and fund the acquisition of modern equipment. Cegelec Solutions & Services Company, in partnership with Magellan Navigation (formerly Thales Navigation) for the GPS hardware part andMagic Instinct Software (MIS) for the bathymetry part, lead the entire project. In April 2006, Cegelec and Magellan established a geodetic network of three base stations and two UHF repeater stations to replace the obsolete Syledis system along the river. The selected hardware, targeted for marine applications, allows acquisition with not only sub-metre accuracy but also centimetre accuracy to compute water level corrections (‘RTK tide’). For maximum efficiency in the diver­ging part and because the GPS base stations were using the same UHF range to broadcast the corrections, it was decided to use the existing Syledis Muba station combined with a repeater in Matadi (Mont Soyo) and Seke Dia station combined with a repeater in Kaitshanga and a single station in Kisongo. Cegelec managed the installation of the antennas, batteries, solar panels, Aquarius 02 and transmitter for sending RTCM-RTK corrections. Magellan, using the land-survey Z-Max receiver, recorded the GPS L1/L2 raw data in static mode during at least 24 hours for the three main stations. WGS84 coordinates of Muba and Kisongo were selected as reference points processed into the IGS network using Bernese GPS data-processing software (designed by the University of Bern), which typically manages baselines of 3,000km to join the International Terrestrial Reference Frames ITRF2000 system. Magellan post-processing software (GNSS Solutions) was then able to process baselines of 40 to 50km to get final coordinates with centimetre resolution. As the quality of installation was vital, both GPS and UHF antennas were cleared of any obstruction, at the highest possible elevation. It was confirmed that the sites formerly selected for Syledis were the best locations. Nevertheless, the envir­onment may have greatly changed: vegetation, numerous GSM broadcasting antenna towers, and buildings, which could affect both UHF coverage and GPS satellites reception. All three stations broadcast long-range kinematic code and L1/L2 phases, allowing kinematic mode for Aquarius 02 rovers as well as enhanced differential GPS for Aquarius 01 and Sagitta 01 on board the different vessels. The results from radio range trials showed reception of the UHF signal up to 75km from Muba station (thanks to the altitude of the station). Furthermore, tests in the middle area also showed reception of other stations (Kisongo and Muba) in the case of any problems regarding the Seke Dia Mbungu station, covering that essential part of the river. Until the completion of this project, all surveys operated by the RVM used Cartesian coordinates in a so-called ‘official’ reference system from the IGC: the Clarke 1880 ellipsoid and Transverse Mercator/Gauss-Krueger projection. No datum shift was realised using the IGC local points (about ten points for the first-order triangulation network) to reveal the transformation parameters to move from WGS84 to the local system. The IGC never used GPS for their geodetic measurements. Regarding the elevation model, no local (or national) geoid model was available for the DRC. Along the river, about fourteen tide poles have been installed, from the estuary up to Boma. All have been levelled by the IGC so the hydro­grapher is able to determine the altitude of the water level in different places, compelling a regular check during operations. However, it was impossible to get descriptive forms of all the IGC points for levelling located on both sides of the river. Although some of the tide staffs are fixed in hard cement structures (Banana, Boma, Matadi), those installed between these points are installed on steel pipes sunk in the river bed: so some of them are regularly carried away with the current and sandy shore erosion. Real-Time Kinematic (RTK)-GPS has been selected for measuring water-level correction during hydrographic surveys. However, measuring this vertical dimension usually requires a local site calibration to set the separ­ation between the WGS84 ellipsoidal height and orthometric height. In this case, the IGC reference is located in Banana, where topographic zero is the mean sea level defined by the mark –0.85m on the RVM tide pole. Over small distances, the separation between ellipsoid and geoid can be approximated using a calibrated inclined plane; but it is more complicated over a distance of 150km, with three separated zones, each with different slopes. Further, the contract did not mention sufficient time and financial means for such large developments. It had to be decided whether we would ignore the local datum and use the EGM96 worldwide geoid model. We tried to convince the RVM to choose this, which has the advantage of not introducing errors based on poor ellipsoid–geoid separation modelling. As the final goal was to dredge the critical areas, it was vital to first know the relative changes between two consecutive surveys. The second advantage of this model was being able to create a more reliable geoid model. It is not easy to convince people to leave their traditional framework and to move in a brand new direction with completely new references. All historical data were measured with references to the zero RVM reference obtained from the lowest water level in 1915 and levelling along the river with the fourteen tide poles by Belgian surveyors with theodolites. As the final goal is to provide maps and accurate nautical information to mariners for navigating the Congo River, we suggested to every hydrographer (as well as land surveyor) to give up x-y in Gauss-Krueger and use WGS84 geographical coordinates combined with a standard Universal Transverse Mercator projection (required for any land survey job). With the transition from Syledis to RTK-GPS, it was decided to work in geographical coordinates (WGS84 worldwide system). Regarding the z data, the post-processing software from Magellan Navigation used the RTK measurements made on every tide pole using the Z-Max land-survey rovers. A calibration calculation allowed the generation of a set of five parameters compliant with Magellan marine GPS receivers (Aquarius and Sagitta) for the definition of the mathematical model of altitude correction (offset). Because of the size of the survey areas it is impossible to get a unique mathematical model. The river was split in three different inclined plane models generating three different sets of parameters. MIS chose to process the bathymetry onscreen in real-time with tide and water-level correction provided by RTK-GPS and creating archives in parallel, including all raw data acquired from the GPS and echosounder. The river floor mapping is done in 2D/3D in real-time with orthometric soundings expressed in the RVM datum. Position and depth information tagged with date and time are processed in compressed text log files as a background task in Olex. Storing any information related to the nature and quality of the GPS signal for every depth measurement and both orthometric and WGS84 ellipsoidal heights may be useful in the future. The need for a better geoid model is obvious, although it would require a dedicated gravity survey, which is not a current priority for the DRC Government. Olex software was chosen for two main reasons: firstly, the robustness of the Linux environment strengthened by the rugged marine PC and, secondly, the ease of use regarding the bathymetric and navigation software that are entirely automatic for data acquisition and provide directly workable survey results (real-time river-floor mapping with 2D and 3D displays). The Olex standard sea-floor mapping feature has been especially customised by MIS to include water-level RTK corrections. A special I/O driver has been implemented to take into account the altitude of the antenna computed above the hydrographic zero reference of the RVM. Olex displays onscreen the correction value calculated with the Magellan offset formula (which could be assimilated to RVM pseudogeoid undulation) and computes the water levels using the zero reference of the RVM. Several trial surveys have been performed to check whether the GPS calculation corresponds to the reading of the water levels on the different tide poles along the river. The trials were positive: the tolerance (less than 10cm) was accepted, allowing the hydrographer to avoid any visual readings of the water level on the different limnographic stations. The bathymetry results are exported into x-y-z data to be post-processed at the RVM hydrographic office: checking, filtering and conversion to an A0 paper chart with Surfer software, from Golden Software, for archiving. Measured bathymetry is also given via flash memory disks to the dredge vessels where the Olex system is also set up, in order for them to start their work. A job such as the one described here always brings surprises. In addition to the lack of knowledge of users regarding computer practice, we faced several technical problems. The first one, which was time-consuming, occurred during the installation of the depth echosounder. The dual-frequency transducer (33/210kHz), installed into a kind of vertical shaft, was not properly fitted under the survey boat and the first trials showed very poor-quality results. We asked the shipyard to get the vessel out on a slipway to check the transducer in relation to the water. It appeared that the mounting under the boat was creating some flow noise and cavitation bubbles that affected its use. With the local means of the shipyard, we implemented a streamlining metal structure all around the support to smooth the water flow. The second surprise was the relativepoor quality of the electronic nautical charts. During our first sail on a buoy tender, the following occurred. Four big islands face the harbour of Boma: Selonga, Sacra M’Baca, Coranda and Princes Island. During our first bathymetric test on board the Puasi survey boat, we were surprised to see the track of the boat directly crossing the Selonga island on the plotter. The map was digitised from an old paper map. We could not imagine that an island of this size could ‘move’ like this. That is one of the reasons why the RVM has also been fitted with the land-survey Z-Max GPS topographic system to help them efficiently update and create a kind of digital terrain model, with the contours of the river banks and islands, the locations of land and river markers, as well as to improve the vertical local datum model. Another surprise concerns the implementation of software helping to follow the position of the dredge mouth under the water on the dredging vessels. Installing robust sensors onboard some of the old vessels whose blueprints included incorrect dimensions was a perfect demonstration of the necessity to adapt our solutions using resourceful tricks to measure distances. 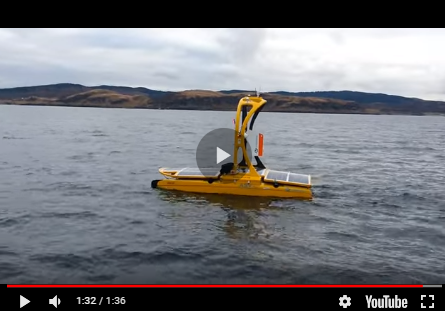 This experience was deeply interesting for different reasons: technic­ally, because of the installation of a modern and dedicated solution for bathymetry, and humanly, for assisting and teaching people who showed a real desire to learn about new technology and methods. Particular effort was made in the training sessions. Because of the new technologies, involving GPS and RTK methods, new computers and operating systems (Linux and Windows), the knowledge gap for Congolese engineers and surveyors was large enough to warrant spending time on this in 2006 and 2007.